As I've stated like, uh, a billion times, I like to get my little ones outside every single day, no matter the weather. As we live in Minnesota, that means we have to be prepared! I usually recommend splurging out outerwear when you live in a cold climate- but I wanted to find some budget friendly pieces that are durable too! Here are some of our outdoor essentials, for everything from splashing in mud puddles to walks through blizzards. - I absolutely love these fleece lined mittens- such cute, handmade looking patterns, but totally a steal! These are my water proof, playing in the snow mitten recommendation- and here is a more budget friendly version! 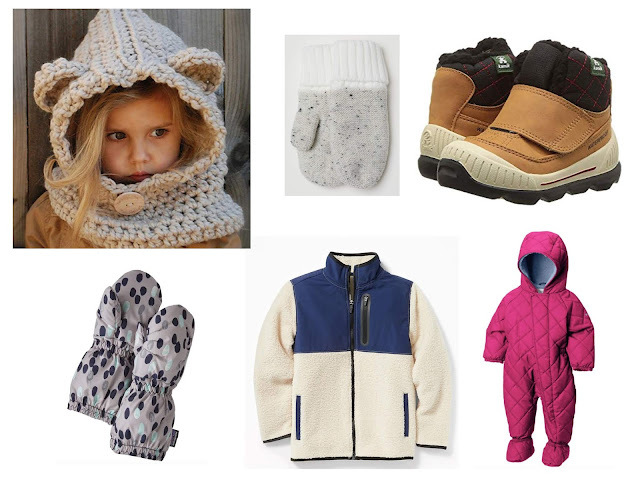 -The Patagonia puff ball material is the best for warmth in the snow AND car seat safe! Which is important to note, because most parkas/coats are not, so you're supposed to have your little wear a coat while in their seat. Which isn't the most convenient thing in the world. We also like Patagonia fleece jackets- Patagonia runs HUGE, so while it is spendy, it last you years and years. But- these are an ADORABLE is a budget friendly alternative to Patagonia fleece! Under $30 and it's basically identical! 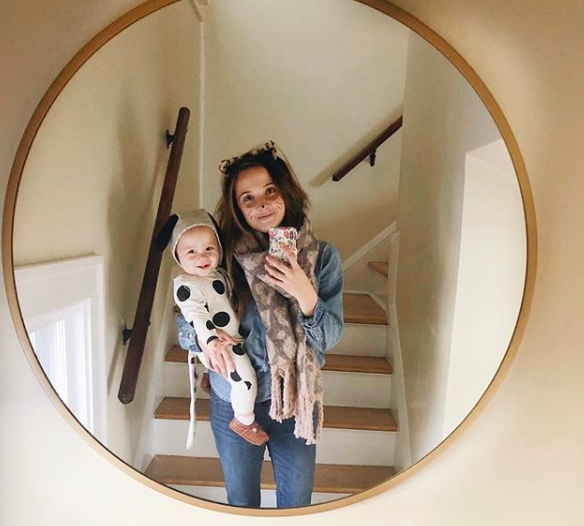 - We get asked every day about Ophelia's leopard print coat. It's fashionable, super warm, and 50% off today! - I always recommend a balaclava instead of a hat when you need warmth and not just cuteness. Because it forces them to keep them on! We have this one, and also love this fleece lined one. All under $12! 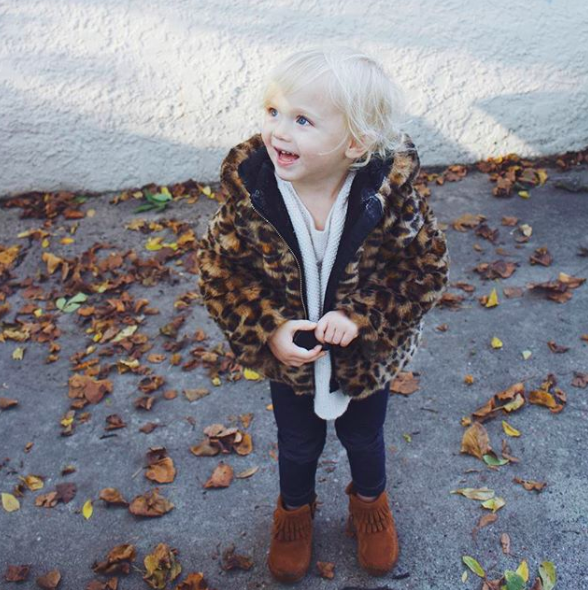 - Bog boots are AMAZING and Ophelia pretty much wants to wear hers year round. They are also toddler friendly, as in they can put them in all by themselves. I also love Kamik boots for snow, and they're on sale here! 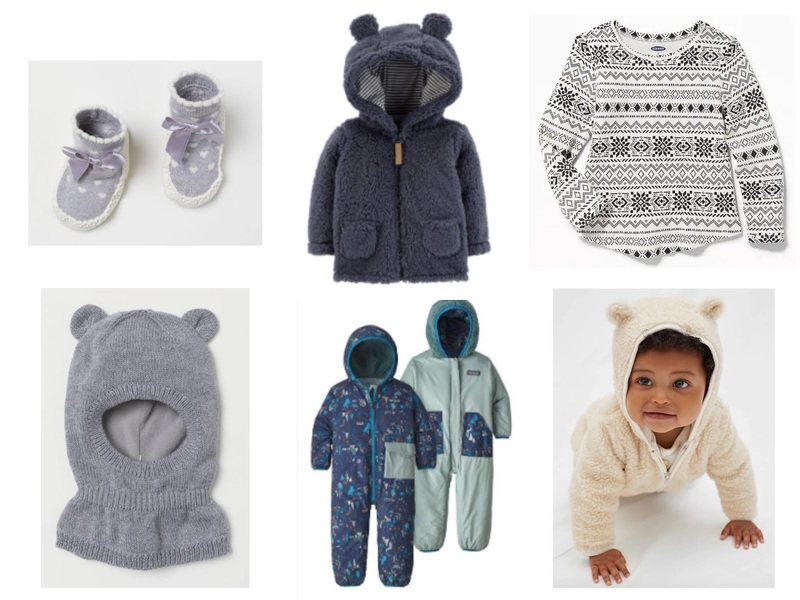 These are also another budget friendly option..
- I personally like buntings better than a separate jacket and snow pants. I know some people think pants are better for potty trained kiddos, but personally I think it's an equal hassle coming inside and shedding layers, no matter what you've got on. Some personal favorites are this one (runs HUGE! ), this one, this one, and this one.